Ainsley Maitland-Niles’ profile says that he plays as a central midfielder, right back and winger for Arsenal Football Club. 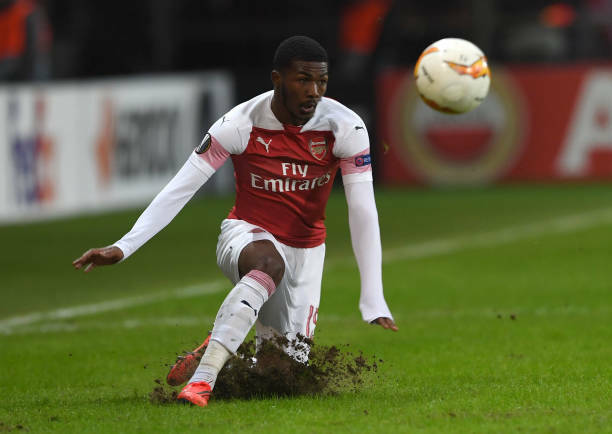 Ainsley Maitland-Niles broke into the Arsenal first team in December 2014 making his debut in a UEFA Champions League match against Galatasaray but he has over the next few years been used in several positions by Arsene Wenger and now Unai Emery. Arsenal’s current head coach Unai Emery is using Maitland-Niles as a right back since Hector Bellerin is still at the sidelines and Stephan Lichtsteiner has not been reliable. Maitland-Niles was a central midfielder in the past during Arsene Wenger’s days and he signed a new long-term deal last year to extend his stay at the Emirates Stadium. Maitland-Niles will no longer have a chance of playing as a central midfielder when the gunners already have Matteo Guendouzi, Lucas Torreira, and Mohamed Elneny, and most reports claim that Unai Emery could bring in Rabiot ( central midfielder ) in the 2019 summer transfer window. So where does this leave Maitland-Niles? Well, Hector Bellerin will not be fully fit when the new season kicks off in August so maybe Unai Emery will make him a right back since he has shown that he can try to do this role when called on to do it, he is usually criticised for leaving the defence open when played as a full back but he is now improving on that aspect as seen in the Manchester United match on Sunday. But does Maitland-Niles enjoy playing as a right back? The answer is NO because he’s already told Unai Emery the position he wants to play. While speaking to Sky Sports a few months back, Ainsley Maitland-Niles said that he hopes that Unai Emery played him as a winger because he feels that the position that can work for him well now. The problem is that buying a new winger is one of Arsenal’s main targets in the summer so it might not be possible to give him a shot in that position in the upcoming season. Unai Emery did try playing Maitland-Niles as a winger in Arsenal’s 5-1 loss to Liverpool and the youngster gave the gunners the lead but it’s unclear why Emery did not continue experimenting that but perhaps he wasn’t impressed with his performance that night despite him getting a goal. So Maitland-Niles wants to be a winger but Unai Emery will certainly not give him his wish but, we will have to see how the summer transfer window affects the Arsenal squad including Ainsley.